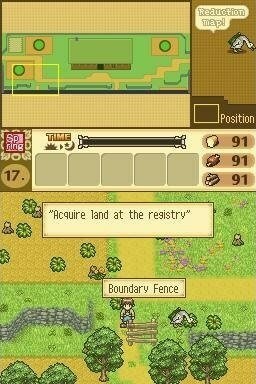 Shepherd’s Crossing 2 is farm simulation game available on the Nintendo DS that has many similarities to the popular Harvest Moon series. Development of Shepherd’s Crossing 2 was completed by Graffiti Entertainment with a 2010 release. The game features the beautifully crafted anime inspired graphics of most other popular farming simulation games and paired with the solid gameplay is an overall rewarding and enjoyable farming experience. A big draw to Shepherd’s Crossing 2 over similar games is the open ended sandbox gameplay that is less restrictive than other games. In Shepherd’s Crossing you can completely ignore sections of gameplay if you desire and focus only on the aspects that interest you. The game doesn’t offer a huge background story to players but this definitely doesn’t take away from the experience since story is never the focus of most simulation games. In Shepherd’s Crossing 2 you’ll choose your preferred genre and then be thrown into a world where you’ve decided to move into small village with your pet duck to start your own thriving and successful farm. In Shepherd’s Crossing 2 players live in a small town and focus solely on harvesting crops, maintaining the farm and raising various livestock. In the game you have control over the layout of your farm, which crops to plant, the animals you breed and your relationships with the other townsfolk. These NPC relationships take the game to new levels that Harvest Moon and other farming simulation games rarely touch on which is the ability to date and eventually marry your chosen person. There truly are a number of things that set Shepherd’s Crossing 2 apart from other games in this space. 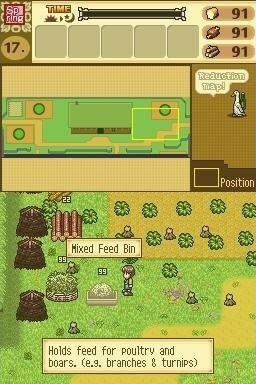 If you loved Harvest Moon but want something with a bit more strategy to it that will push your limits in terms of managing a farm then look towards Shepherd’s Crossing 2. Lots of crop and animal variety. Create relationships with the NPCs and eventually marry. Play the game the way that you want. Think Harvest Moon on increased difficulty.